An extensive range of differing styles, finishes, dimensions, colours and thickness's, we can offer martial arts mats to fit all size of rooms and budgets. Be it for home use or even a full blown Dojo installation we have the products, knowledge and experience to offer a complete service. Everything we supply is manufactured here in the UK and with particular attention to detail in specification and manufacture we ensure an excellent quality product. The 40mm martial arts mats are for high impact pursuits including Jiu-Jitsu, Sambo, Judo, Muay and MMA and are also available for use in BJJ and in grappling arenas at club and competition levels. The 30mm mats are offered for less impact pursuits such as karate, which still offers more than adequate protection. From jigsaw tiles to roll out mats and wall pad mats, with your club logo on them, we can deliver a complete package. Tatami floor mats are available in sizes 100cm x 100cm x 40mm and 100cm x 200cm x 40mm. Waffle backed to achieve an anti-slip finish. 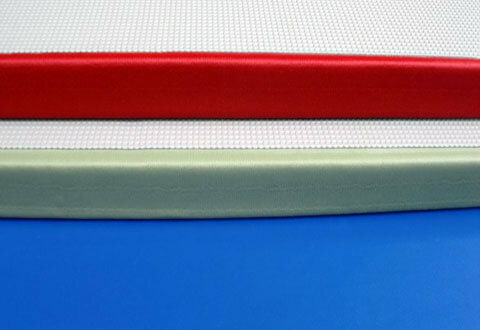 Tatami finish extra heavy duty PVC cover for durability and reducing the chance of friction burns. With a 6.35kg chip foam core to give maximum shock absorption and heat sealed welded corners will give maximum longevity. Available in blue, black, grey and red. 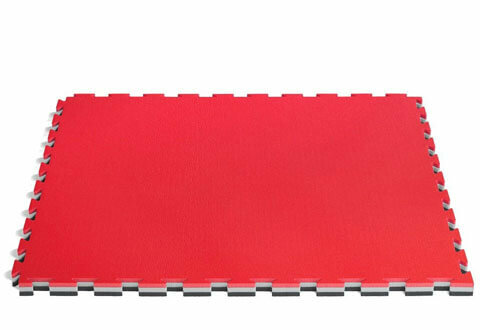 Basic MMA mats are mixed martial arts puzzle interlocking tiles that are 20mm thick x 100cm x 100cm. A cost conscious solution for total beginners. Manufactured from non-toxic solid EVA foam, ideal for protection from practising basic MMA moves. Standard finish fully reversible, water-jet precision puzzle cut to enable easy fitting and simple storage. Anti-slip, washable, impermeable, anti-fungal, anti-bacterial. Trocellen game floor mats are mixed martial arts puzzle interlocking tiles that are 22mm thick x 100cm x 100cm. They are manufactured from a monodensity polyethylene and have rice-straw embossing surface and are water-jet precision cut for quick simple fixing. Available in red / blue combination. Features : anti-slip, washable, impermeable, anti-fungal, anti-bacterial, hypo-allergenic properties. 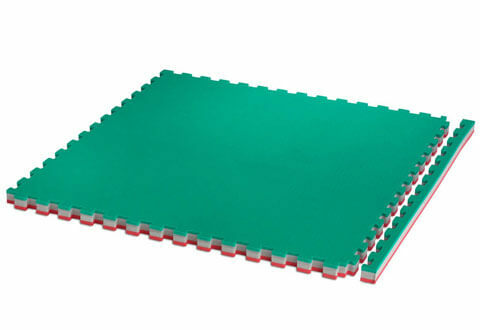 Trocellen Tatami multisport mats are mixed martial arts puzzle interlocking tiles that are 35mm thick 100cm x 100cm. They are manufactured from a closed-cell bi-density polyethylene and have rice-straw embossing surface on one side and a tatami gym mat on the other - and are water-jet precision cut for quick simple fixing. They are ideal for moving up from basic moves to more competition moves without going to a full blown professional product. Features : anti-slip, washable, impermeable, anti-fungal, antibacterial, hypo-allergenic properties. Trocellen multisport pro mats are mixed martial arts MMA puzzle floor mats for competition work. High shock absorbency (perforated internal polyethylene foam layers). 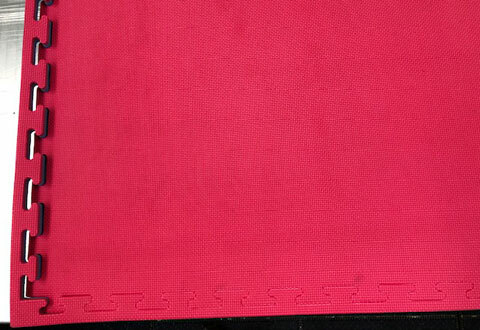 Competition mats are 40mm / 50mm thick and are 100cm x 100cm. Available in red / green. 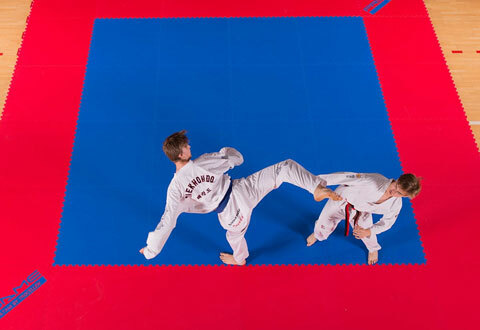 Manufactured from closed-cell bi-density polyethylene these Tatami mats are to be used for competition situations and fully comply with all professional WJJKO bodies. They feature rice-straw embossing, and are anti-slip, washable, impermeable, anti-fungal, anti-bacterial and hypo-allergenic. They are water-jet precision cut and are fire resistant. What is the difference between tatami MMA mats and non-tatami? Tatami is the style of finish on the tile it provide excellent grip for the feet in the practice of all MMA sports.